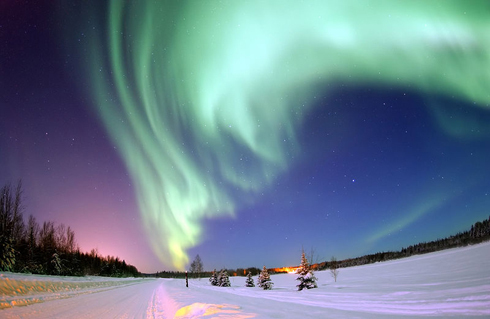 There is at least one thing to be said about living in colder climates, and that would be being able to experience, first hand, one of the color wonders of the world, aurora. 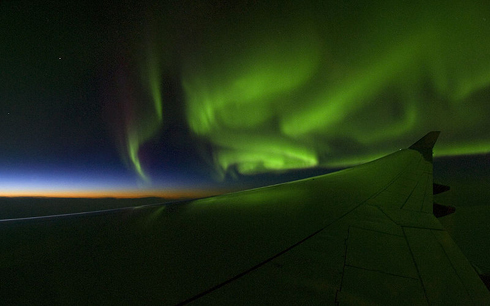 Aurora originates from the sun. Large amounts of solar particles are thrown into space and travel for about two to three days at a rate of 300 to 1000 kilometers per second in order to reach earth's outer magnetic field. At this point, the clouds of particles are pulled towards the northern and southern magnetic poles. As they are being pulled towards the poles they are stopped by our atmosphere colliding with other present particles. 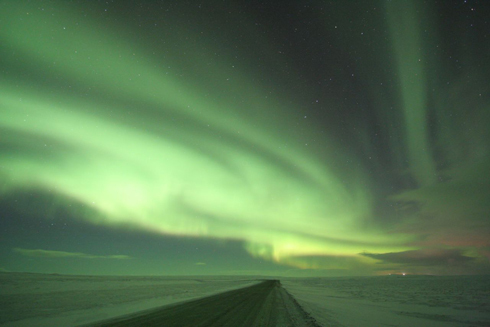 The interaction of these particles causes what we know as aurora, the northern lights or aurora borleis in the northern hemisphere, and aurora australis or the southern polar lights in the southern hemisphere. 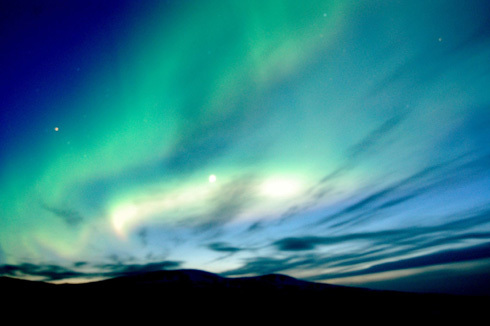 The colors created by aurora are most commonly, green and red, but depending on the particles present in the clouds from the sun, say if there is nitrogen present, the color can range from low level reds to very high blues and violets. 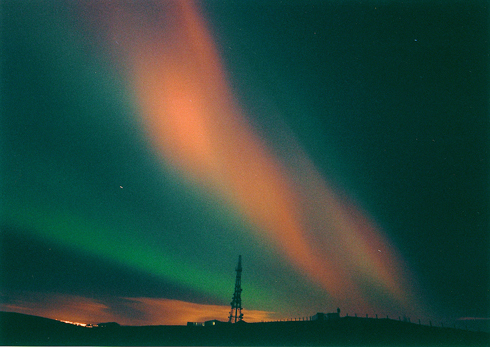 With the technological advances of film and development of digital imaging we are now able to capture the true beauty of auroras, but it still nothing compared to witnessing the animated currents of color flowing over the horizons and covering landscapes with illuminating waves of light for yourself. 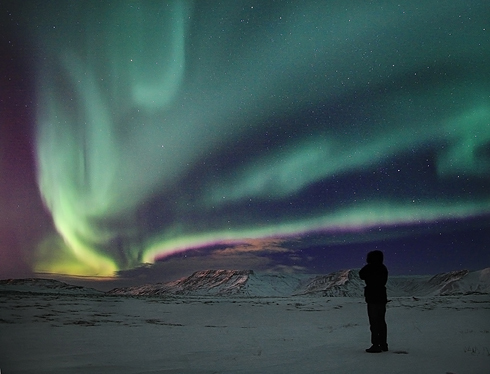 So enjoy these stunning images of this magnificent show and give some thought to taking a cold vacation this year. 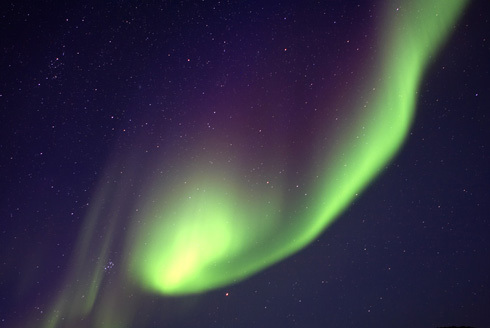 Auroras are produced by the collision of charged particles from Earth's magnetosphere, mostly electrons but also protons and heavier particles, with atoms and molecules of Earth's upper atmosphere (at altitudes above 80 km). The particles have energies of 1 to 100 keV. Most originate from the Sun and arrive at the vicinity of Earth in the relatively low-energy solar wind. When the trapped magnetic field of the solar wind is favorably oriented (principally southwards) it reconnects with Earth's magnetic field, and solar particles enter the magnetosphere and are swept to the magnetotail. Further magnetic reconnection accelerates the particles towards Earth. The collisions in the atmosphere electronically excite atoms and molecules in the upper atmosphere. The excitation energy can be lost by light emission or collisions. 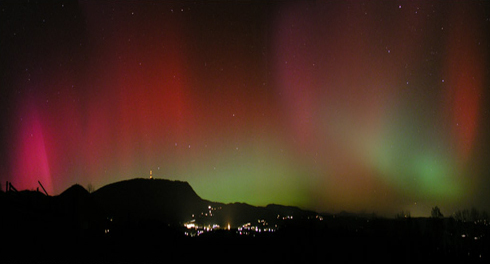 Most aurorae are green and red emission from atomic oxygen. 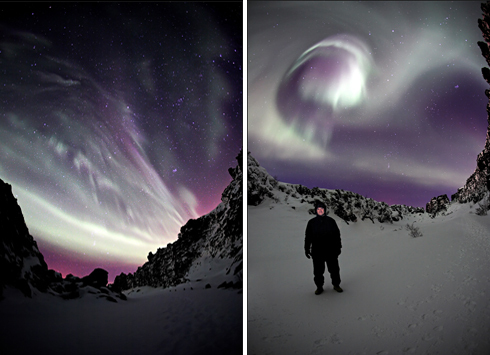 Molecular nitrogen and nitrogen ions produce some low level red and very high blue/violet aurorae. 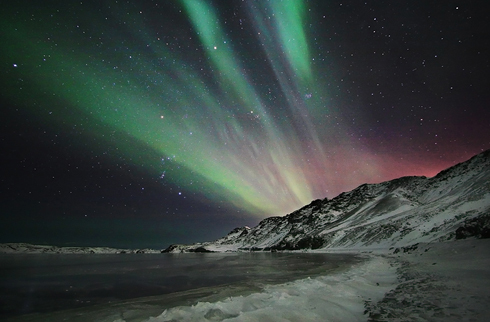 Although it was first mentioned by Ancient Greek explorer/geographer Pytheas, Hiorter and Celsius first described in 1741 evidence for magnetic control, namely, large magnetic fluctuations occurred whenever the aurora was observed overhead. 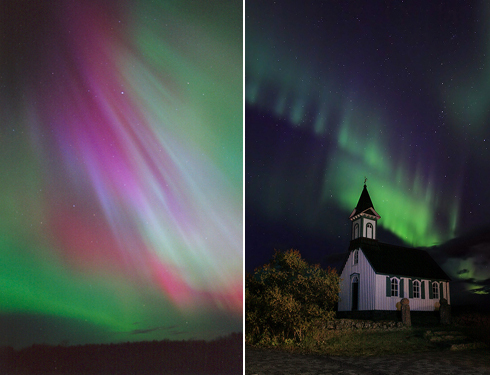 The auroras which occurred as a result of the "great geomagnetic storm" on both August 28, 1859 and September 2, 1859 are thought to be perhaps the most spectacular ever witnessed throughout recent recorded history. The latter, which occurred on September 2, 1859 as a result of the exceptionally intense Carrington-Hodgson white light solar flare on September 1, 1859 produced aurora so widespread and extraordinarily brilliant that they were seen and reported in published scientific measurements, ship's logs and newspapers throughout the United States, Europe, Japan and Australia. 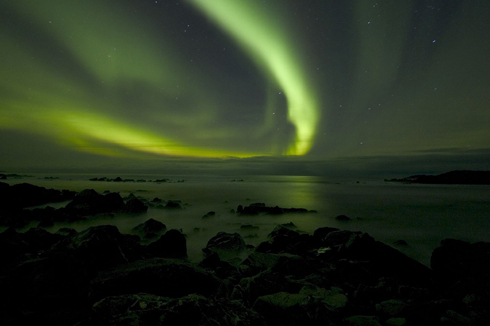 It was said in the New York Times that "ordinary print could be read by the light [of the aurora]". 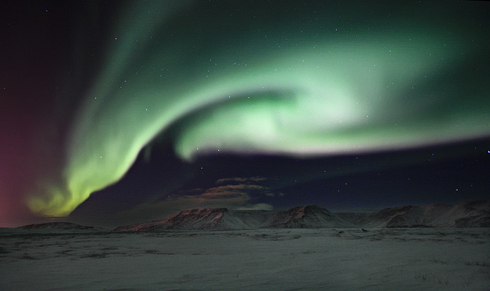 The aurora is thought to have been produced by one of the most intense coronal mass ejections in history, very near the maximum intensity that the Sun is thought to be capable of producing. It is also notable for the fact that it is the first time where the phenomena of auroral activity and electricity were unambiguously linked. This insight was made possible not only due to scientific magnetometer measurements of the era but also as a result of a significant portion of the 125,000 miles of telegraph lines then in service being significantly disrupted for many hours throughout the storm. Portland: "Better than with our batteries on. - Current comes and goes gradually." 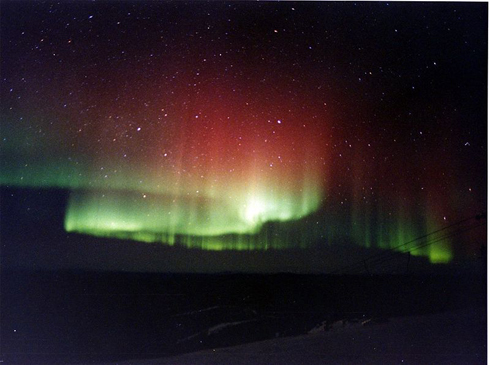 The conversation was carried on for around two hours using no battery power at all and working solely with the current induced by the aurora, and it was said that this was the first time on record that more than a word or two was transmitted in such manner. Wow! Awesome photos. I've gotten to see them twice and it was an amazing experience both times. I hope to see them again some day. I wish I could be able to experience this. Hopefully someday. It sounds cheesy, but those photos are literally breathtaking!!! I would love to witness this someday. To witness first hand this display is on my list of things to do before I die, or go blind or something like that. 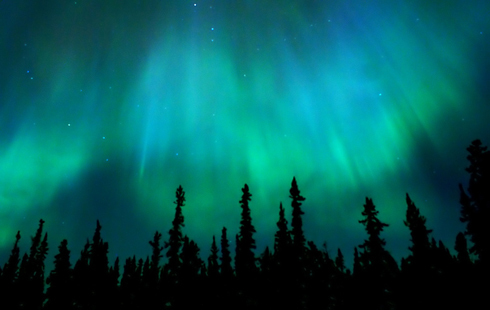 I got lucky enough to see the Northern lights a few years ago. 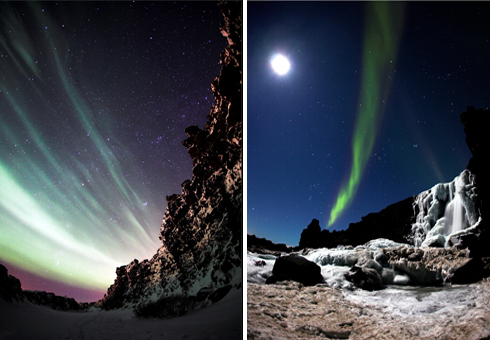 However, they were not as vibrant as these pictures truly something amazing to see none the less. 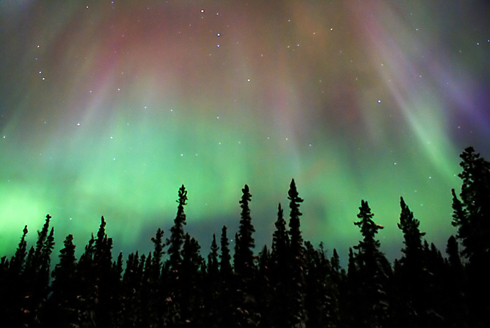 Colors of the Aurora are so amazing. And so are these photos!!! 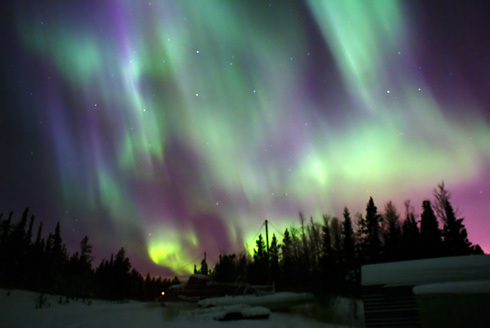 Growing up in northern Minnesota, I got to see Northern Lights quite frequently. However, one instance I remember well was when I moved back for a couple of years in the early '70s. I was returning from work at about 2 am (I was a waitress in a bar) and had to stop the car and just stand there in awe. 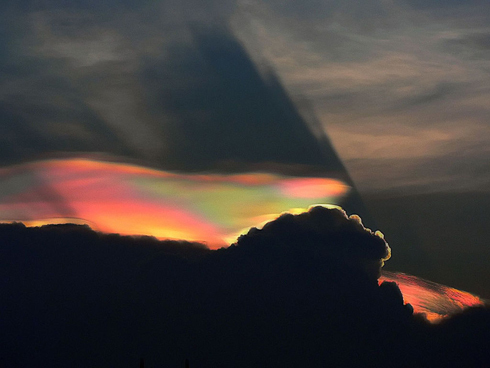 Pink and purple curtains rippled across the entire sky, rather than appearing just in the north. I remember feeling so small and insignificant. 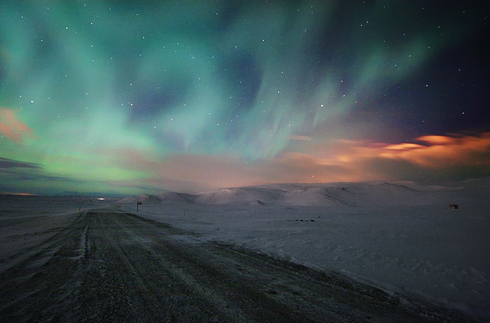 these photos are really stunning, i hope to see the lights one day, they appear rarely in the sky here but i'm always somewhere i cant see them!! No such thing near the equator. One day I will be where they are!